We’d love your help. Let us know what’s wrong with this preview of Facets of Unity by A.H. Almaas. To ask other readers questions about Facets of Unity, please sign up. That’s a great book to read. I will definitely re-read it. Lucidly written, lots of useful information about archetypal Ideas, with practical implications in terms of tracking down one’s ego defense mechanisms. Best Enneagram book I ever read. Best description of Basic Trust, also. 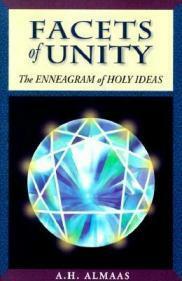 Great overview of the enneagram system of understanding psychology and insights of the real in man's inner essence. Almaas' painstaking efforts at accuracy and precision on topics that easily confuse is much appreciated. If there were cards for the Diamond Approach, I would get one. I like spiritual writing very much, and Almaas is the crem d'la crem. This book may not be the best for beginners. Loved this book. I found it so helpful. I'm reading it a second time and will probably read it a third. This man has amazing insight into the Human psyche, and the path to Remembering our Perfection. Amazing, profound, deepens with every reading. When transcend the conventional view of the enneagram as a personality map, we come to a deeper understanding of its offer. This book takes us there. Challenging and insightful. Not the place to start, but part of the journey of understanding this system. By one of the masters of it. Still working through this in combination with Sandra Maitri's Spiritual Dimensions of the Enneagram. Maitri is more accessible, but the original is Almaas. Great book.